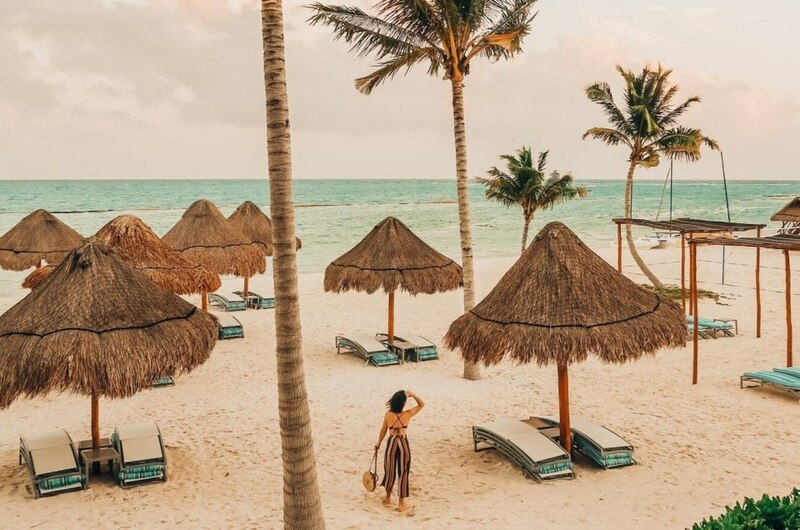 Photographer Arielle Vey‘s recent trip to the beautiful Fairmont Mayakoba was as vibrant as her colorful Instagram feed. From romantic dinners by the beach and afternoons spent bike riding around the lush jungle to an authentic cooking class and relaxing session at the property’s luxurious spa — spending a week in Mexico’s Riviera Maya proved to be an unforgettable experience for Arielle and her husband. And, by the look of her stunning captures, this was a fairytale travel experience in paradise! Hi Arielle! Welcome back! We’re so excited to chat with you! Let’s start by hearing all about what you’ve been up to lately?! I’m so excited to be here! Lately, I’ve been putting energy into my print shop which continues to be a blast. Moving into this year, I’m feeling motivated to release new styles while testing creative boundaries. In early January, I started a podcast with my husband, Bennett, called All About It where we share some of our stories and try to encourage people to step out of their comfort zones. Beyond that, I have a bunch of fun adventures planned for this year and can’t wait to see what else comes up! Your most recent trip took you to the beautiful Fairmont Mayakoba resort in Mexico. What were your first impressions? My first impression of the Fairmont Mayakoba was that it is so lush! Every path and walkway you take from the lobby to your room or to the pool or the beach, is lined with beautiful greenery that reminds you that you are in a rainforest. The tropical atmosphere hits you right away in the best way. As a Rainforest Certified property in the Riviera Maya and a part of one of the world’s largest coral reefs — how would you describe this part of Mexico? 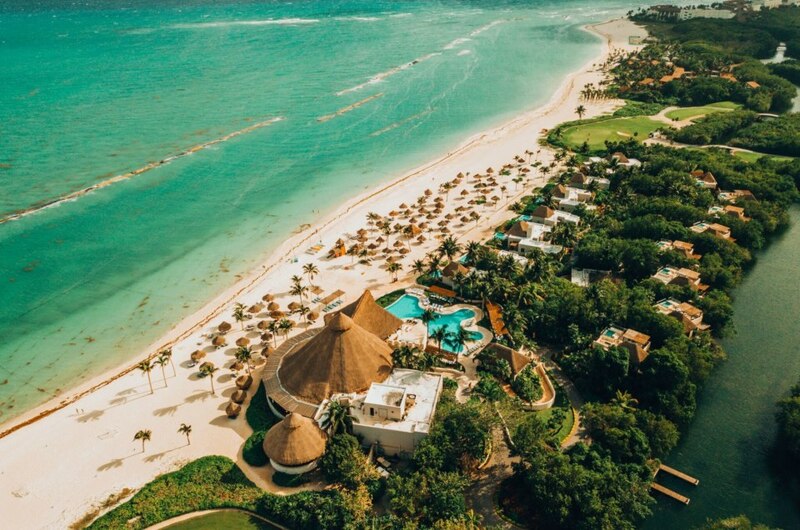 The Riviera Maya is an amazing stretch of the Caribbean coastline along the Yucatan Peninsula that is home to some of the most beautiful beaches in the world. What makes this area so special is how close the beaches are to the rainforest. We were able to walk along the jungle river that flows through the Mayakoba grounds, and were still within five minutes of the beach. It’s like nothing I’ve ever seen before all in one place. You made this trip with your husband, Bennett…do you have similar tastes when it comes to how you like to spend your time while traveling? My husband and I have always loved traveling together and have been lucky enough to do so a lot more the past few years. I think at the end of the day, no matter where we are travelling to, we just want to have fun and experience as much of the culture of that area as possible. Food is also very important to both of us and we’re always open to trying new things. We love exploring on foot and finding hidden viewpoints along the way. One of our favorite things to do together on our recent trip was get up and walk to the beach for sunrise. I highly recommend this when staying at the Fairmont Mayakoba! The two of you had a very romantic ‘Moon Dance’ dinner by the beach! Can you tell us a little bit more about it? The ‘Moon Dance’ experience at Las Brisas was definitely a highlight of the trip. This restaurant is right on the beach and just after sunset we were escorted to a private room that was lined with rose petals. We were treated to an amazing selection of fresh seafood and the best tequila I’ve ever had. I nearly lost it. It was a very special experience that I definitely recommend for any couple that is looking to be treated (and have the best dessert you’ll ever experience). This was our first time sitting down to a private meal of any kind and it was unforgettable. Your Mexican cooking class looked like a lot of fun, too! What was your favorite part about the experience? 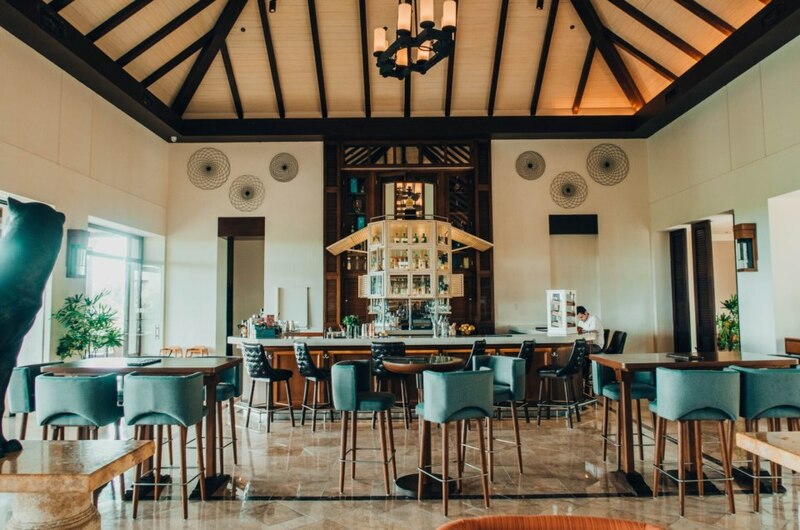 Bennett and I have always wanted to take a cooking class and we were so excited to have the opportunity to take one through the Fairmont Mayakoba. The instructor of the class, chef Karla Enciso, couldn’t have been more knowledgeable and charming throughout everything. Not only did we learn how to make traditional mole from scratch, but we had the most delicious margaritas along the way. Making a really great mole is truly a labor of love and it was so much fun to learn what it takes to make it. As a photographer, what would you consider the most Instagram-worthy spots within the hotel property? I absolutely fell in love with the river views from all of the bridges. The docks that are sprinkled throughout the property are my literal dream and I went onto at least one of them every day. Another fun gram-worthy spot is the beach with all of the huts scattered along the sand with the palm trees that bend in the distance. The infinity pool next to La Laguna was so fun in the morning, and great for photos. The river in the background beyond the pool is too perfect! What are your go-to camera and editing essentials for every trip? My go-to camera is the Nikon D810 with my 24-85mm or 50mm lens. For quick video, I love my Canon G7X. It’s compact and can be set up on the spot with a mini tripod. My iPhone XS Max is always with me and the camera is incredible. The Fairmont Mayakoba offers a very luxurious experience for guests. What made it stand out from other luxury hotels? I feel very fortunate to have been able to spend time at a few Fairmont properties throughout my life and they have all been exceptional experiences, each in their own way. What makes the Fairmont Mayakoba especially wonderful, beyond the amazing scenery and proximity to adventure, is the people that work there. Bennett and I interacted with dozens of people during our stay and every person we spoke with had the best stories, always gave over the top service, and made us feel like we never wanted to leave. We made some friends and look forward to going back again, as soon as possible! Any other special experiences during your stay that you want to share with us? One of our favorite days on the trip was our guided kayaking tour with Miguel. It was one the most peaceful and beautiful experiences. We learned so much about the ecosystem, the history of the property, and he had so many great stories to tell. The bright teal water along the river is something I’ll never forget.